*This Total can be done in any order the buddy team decides, but they must both be working on same lift together. *Each lift must be completed in 10 Minutes, then immediately move to next. Strict adherance to time for class completion and fairness. Strong and pretty!! These guys are great! They always encourage and help others. 5am wouldn’t be the same without them! Two 5 am studs! These are two awesome people that lift and push as hard as anyone at CFHSV. I’ve enjoyed getting to know these guys! That’s two awesome dudes who set the standard every day. George and Brady have been showing out for years. Keep it up studs! Two guys truely represent CF Huntsville !!! George and Brady are serious CrossFitters. They come in, and just straight up DO WORK before the sun comes up. When most of us are still snoozing, these two are kickin tail! I’m pretty sure these two cats are part of Voltron. They are starting to meld into one superlion. …. wouldn’t you know it. 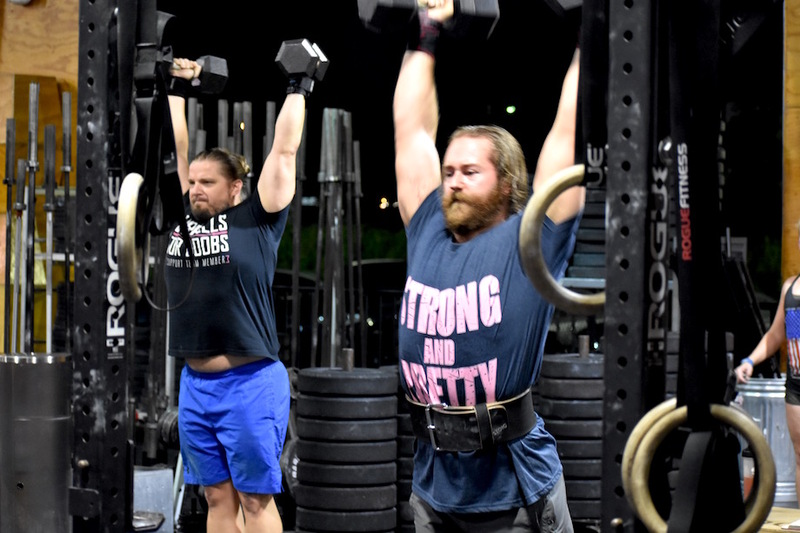 My favorite WOD, two studs that will kill it tomorrow seen above! Everyone is too kind. So as a treat, Deadpool and I will be available for autographs between lifts starting at 0500 until 0600. Starring on the next season of “Vikings”…. love these two studs right there! Awesome athletes and friends! Always encouraging everyone else around them while crushing WODs!!!! I’m missing this a lot! Well at least you tried hard. 1280 Total, partnered with the one and only Tyler Lane!!! You a mess man 😂😂😂!